The PTP Alliance paid us a visit and numerous members of parliament have been lobbied with your help. We need your help to keep the National Railway Museum Carpark and stop all of Port Adelaide's buses being routed through Lipson Street. 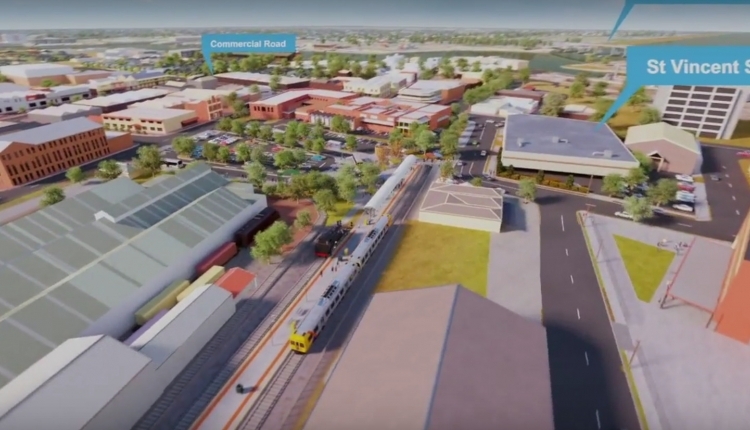 Late in 2017 the State Government approved plans for a new railway line to be built in to Port Adelaide at a cost to tax payers of $16.4 Million. The line will terminate at the back of the law courts near the corner of Barlow Street and St.Vincent Street. The railway line is a much needed step towards revitalising the Port. The plan includes a proposed bus interchange at the railway station. Early proposals have conceptualised buses entering and exiting the interchange between the Police station and the National Railway Museum on Lipson Street. 1. The proposed bus interchange entry/exit point is more suitably situated near businesses on St.Vincent street. 2. The sacrifice of car parks arising from execution of the proposal will impact local business, the Police, the Courts, local residents and pedestrians. 3. The resultant increase in heavy commercial vehicle noise (public buses) will adversely affect the health and wellbeing of residents adjacent the proposed interchange on Lipson Street. 4. The resultant increase in heavy commercial vehicle pollution (public buses) will adversely affect the health and wellbeing of residents adjacent the proposed interchange on Lipson Street. 5. That shared traffic areas in the precinct will become unsafe for families visiting the National Railway Museum, the nearby Aviation Museum and the walk from the NW end of Lipson Street to the SE end. The Stop all of Port Adelaide's buses being routed through Lipson Street petition to Department of Planning Transport and Infrastructure was written by Michael Herlihy and is in the category City & Town Planning at GoPetition.